Illinois State University’s Uttam Manna was awarded a $135,550 grant from the National Science Foundation (NSF) to conduct cutting-edge experimental research to confine energy from nanoparticles. It is the first experimental physics NSF grant in the history of the University. “Dr. Manna’s work is breaking barriers and opening doors, both at Illinois State and in the field,” said Department of Physics Chair Dan Holland. In Manna’s lab, students can measure how light interacts with single nanoparticles, using a very powerful optical microscope. “We can see objects and their colors because ours eyes can detect the color of light the object scatters, or reflects,” said Manna, noting the color of the sky appears blue because the dust particles scatter blue color strongly. “Tiny particles tend to scatter light in a much stronger way because when you break things down to tiny pieces, you have more surface area.” However, “each time light is scattered, energy is lost,” he noted. “If we can cancel the scattering, the energy that shoots out can be channeled and captured leading to more efficient optical devices such as nano-lasers, sensors, etc.,” said Manna. 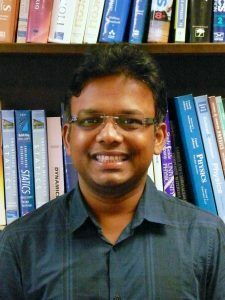 The NSF grant will support Manna and his students to look for ways to cancel scattering in nanoparticles using a set-up they built from scratch at Illinois State. 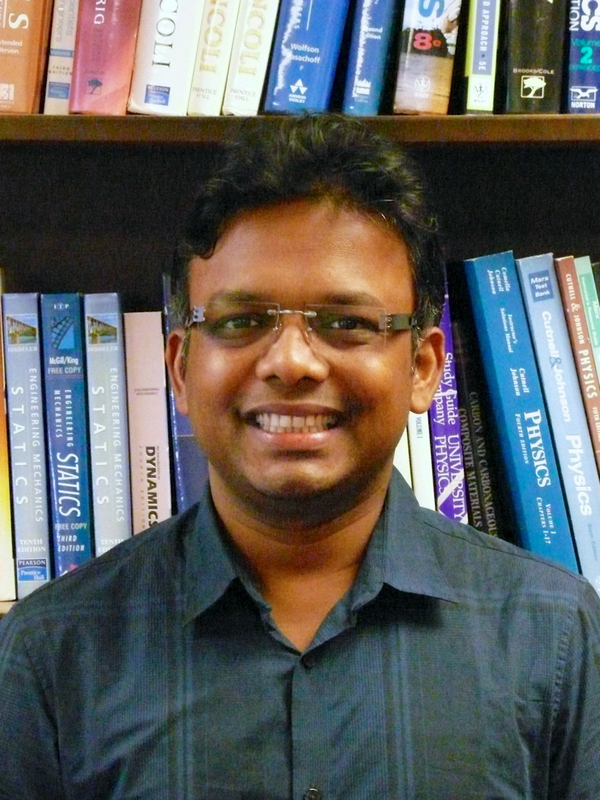 Manna holds a Ph.D. in experimental physics from Trinity College, Dublin, Ireland. Before arriving at Illinois State, he worked as a postdoctoral research scientist at the James Franck Institute at The University of Chicago and the Department of Applied Physics and Applied Mathematics at Columbia University. His work has appeared in leading journals such as Nano Letters, Applied Physics Letters, The Journal of Physical Chemistry Letters, Nanotechnology, Journal of Applied Physics, etc.